What is purpose of the PIN for my BCard? 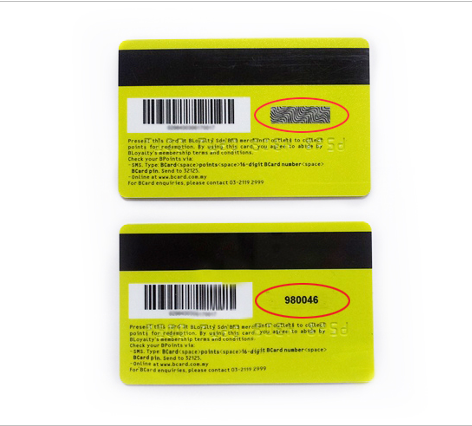 For physical BCard; the PIN is printed behind the card where you need to scratch off to view the PIN. You may thereafter, login to LOGIN using this default PIN and create your own preferred PIN (for both physical and virtual BCard). What shall I do if I forgot or lost my PIN? If you had forgotten or had lost your PIN, you may - Go to our BInfinite Mobile App > Cards > click on the virtual BCard > Reset PIN or - Go to LOGIN > Forgot your PIN? The new PIN will be send to you via email or SMS to the email address/mobile number that is registered in your BInfinite profile. How do I change the default PIN? You may login to LOGIN using the default PIN and create your own preferred PIN. Why I did not receive any new PIN after I click Reset PIN or Forgot your PIN? Please note that the new PIN will only be send/SMS to your email address/ mobile number that is registered in your B Infinite profile. I can&apos;t remember which email address or mobile number that was used to register my BCard, what do I do? You may leave us a message at CONTACT US or email us at enquiry@binfinite.com.my by providing your BCard number and your latest details and we&apos;ll be in touch with you for further assistance.